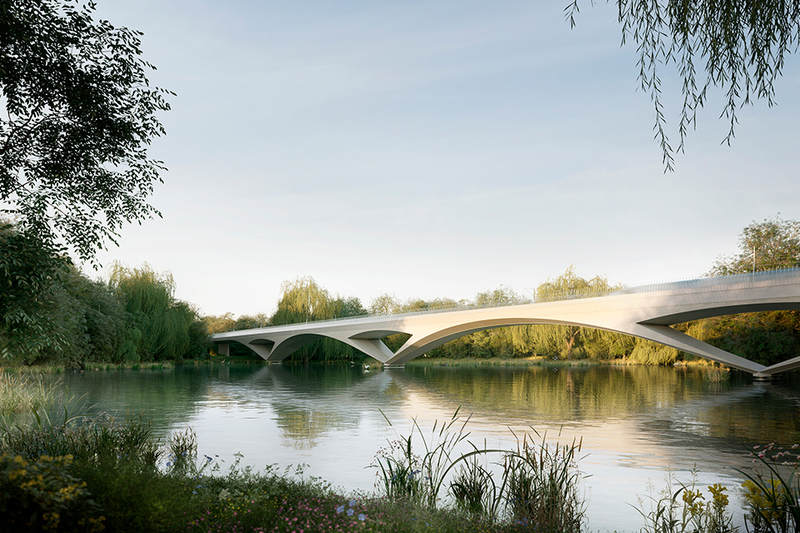 HS2 Ltd today revealed an outline concept for the Colne Valley viaduct, which will help inform development of its final design and form the basis for wider discussions with local communities. 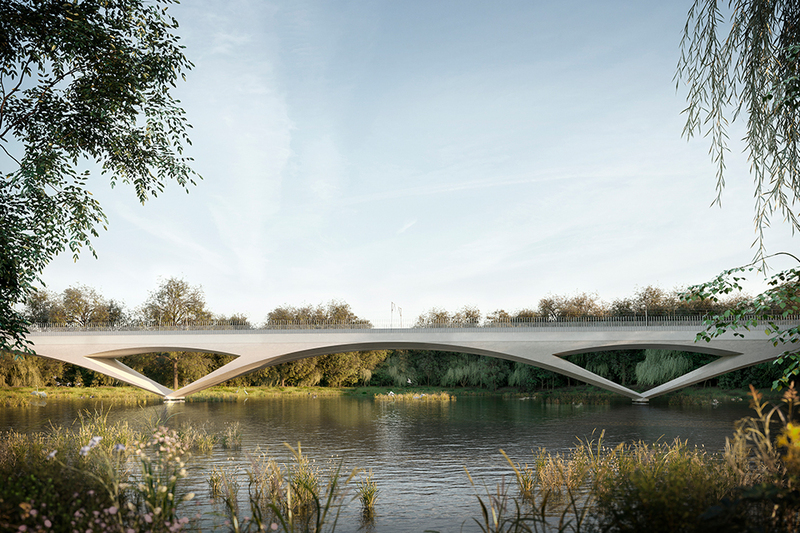 The concept was developed by independent specialists Knight Architects, working with Atkins, in consultation with the Colne Valley Regional Park Panel, and the HS2 Independent Design Panel, consisting of architects, designers and experts in sustainability. The viaduct concept document explores a range of options and ideas for how it can be sensitively and aesthetically sited within the Colne Valley, whilst addressing the technical demands of the project. It will help to inform further design work and technical development by Align, the main civil engineering contractor for HS2 between the Colne Valley viaduct and the northern portal of the Chilterns Tunnel. Align will engage the local community on these designs in spring 2018. The concept has been developed around 14 key criteria, which were set by HS2 in consultation with the HS2 Independent Design Panel. These include whether the design fits the landscape, maintains views and landscape ‘flow’, is well proportioned and elegant. The area of the Colne Valley through which HS2’s route passes features a series of woods and lakes that developed when farming and quarrying ended, and sits alongside the Chiltern railway. The construction of the Colne Valley HS2 viaduct will have a significant impact on the Colne Valley area. The Colne Valley Panel which is drawn from local stakeholders, is very pleased to have been consulted and through a series of workshops, Panel Members have been able to understand the design principles for the viaduct. The Colne Valley Regional Park Panel looks forward to further engagement with HS2 and Align over the actual viaduct design. 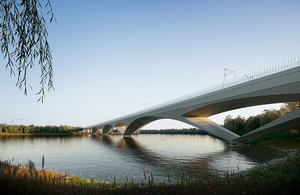 As well as the viaduct itself, the concept document also explores innovative ideas for additional elements such as transparent noise-reduction barriers with vertical lines which are visible to bats and wildfowl to reduce possible impacts, whilst creating a slimmer side profile of the viaduct. We are delighted that this imaginative and carefully-considered concept has been published, and can form the basis for wider discussions with the communities around the Colne Valley and all those who value and use the spaces and amenities within it. 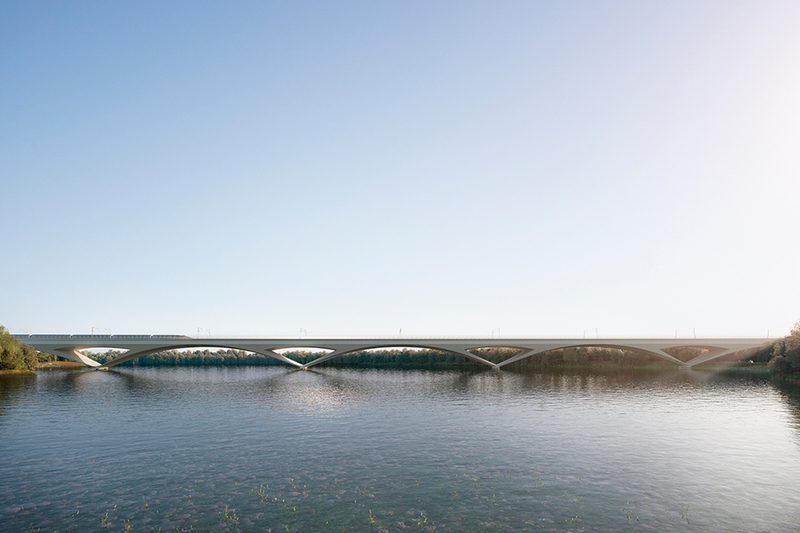 The Independent Design Panel will continue to work hard to ensure that the viaduct’s final design respects its location and communities, whilst being a shining example of great design that Britain can be proud of. Construction partner Align will be responsible for developing the final design and constructing the viaduct according to technical specifications and within an agreed cost envelope. The Colne Valley viaduct will be one of the longest viaducts in the UK, and one of HS2’s best-known structures. We are pleased and grateful for the work done by Knight Architects, the Colne Valley Regional Park Panel and the HS2 Independent Design Panel to produce this potential scheme design. We have every confidence that our contractor, Align, will continue this collaborative approach and engagement, as they now develop their own scheme and then detailed design of this significant structure.